My parents bought a farm when I was three with a big, old house built before the Civil War. It was common for many of these old houses in this area of Virginia to be deemed “haunted” with ghosts of those who fought in this brutal war. Our house at Cleremont Farm was no exception. My father had been a history major with an obsessive curiosity about the Civil War. Many a Sunday afternoon as children was spent with him touring Civil War battlefields and reading historical markers along the roads. It was not long before my father discovered a graveyard near our farm where Captain George Rust was buried, and who occupied our house with his family at the time of the war. With this discovery, we could now give a name to the apparent ghost who frequently made his unseen presence known. In 1985, my step-sister and I collaborated on the creation of The Ghost Of Cleremont Farm. Now, thirty years later, we bring this story to life as a children’s book. 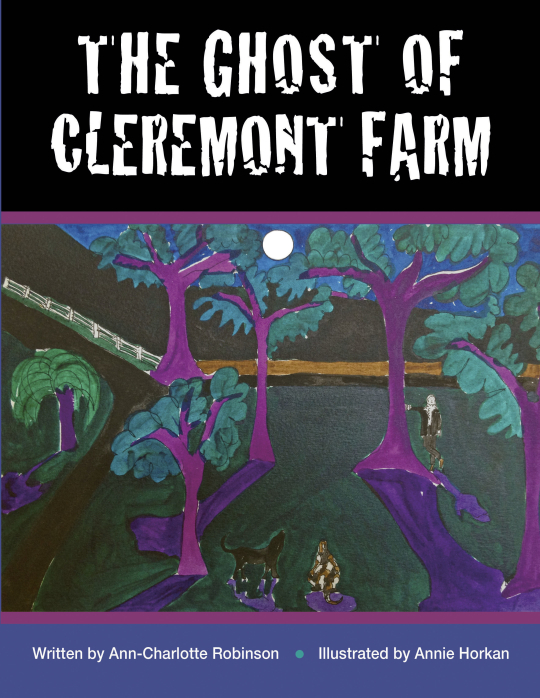 We hope you and your children will enjoy reading about our ghost, Captain George Rust, and delight in the mysterious adventures of his ghostly presence at Cleremont Farm.